Rudy Avila's thorough review notwithstanding, I think this is the best production of G&S' 'Mikado' currently available. John Reed alone is worth the price of admission. There are various ways to do Katisha, this is one of them, and her attempts to shout down the Chorus are worthy to stand alongside her left shoulder blade. Excellent 70s analog sound, and though it doesn't impress anyone anymore, my old MC tape copy is every bit as good as the CD disc. For those who remain hesitant, the film 'Topsy Turvy' is an excellent introduction to the 19th century world of G&S and D'Oyly Carte, a visually stunning recreation of the origins and first production of Mikado. See the movie, then listen to the complete operetta. 5.0 out of 5 starsAvailable again at last! 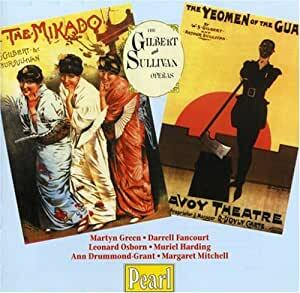 At last count, Gilbert & Sullivan's "The Mikado" has been given a complete recording 11 times: an acoustic version back in 1917, two electric recordings in 1926 and 1936, a mono LP in 1950, and the rest are all in stereo, all but one now available on CDs. Only one contains the dialogue, but alas it is too amateurishly produced to be of any further value. The 1936 electric set on eleven 12" 78s might have qualified as being the best of the lot, were it not for a weak contralto as Katisha. Therefore I would have to call the 1950 set pretty close to top place. Now tenor Leonard Osborn never failed to please when he appeared on stage, but his nasal voice did not sit too well on recordings, especially to those of us used to the creamy tenor of Derek Oldham, who had appeared on most of the acoustic and electric sets. 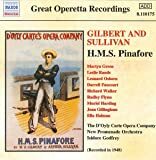 However, we now have as part of the Naxos "Great Operetta Recordings" series that very 1950 recording and what a wonder it is in all other respects. We have the greatest Mikado of them all in Darrell Fancourt, and the most famous Ko-Ko in Martyn Green. 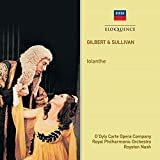 The Katisha is contralto Ella Hallman, whose vocal abilities are matched by her acting, while the Pooh-Bah, for once on any recording, is a fabulous basso-profundo named Richard Watson. It would be difficult to better the Three Little Maids: Margaret Mitchell (Yum-Yum), Joan Gillingham (Pitti-Sing), and Joyce Wright (Peep-Bo). Alan Styler's Pish-Tush is stylish and clear as a bell. 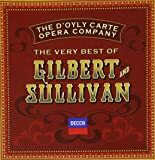 And need we say that the D'Oyly Carte chorus is deep in the tradition set by the masters about 75 years earlier. I can find no fault in the tempos chosen by conductor Isidore Godfrey. 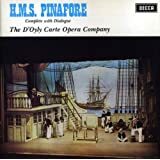 Finally at the Naxos budget price, this is the buy of the season--until the next D'Oyly Carte set is issued. And, Naxos, please let us have them with as short a waiting time between releases as possible. This was my first "Mikado" heard at age 12 in 1959. In many ways this is my favourite. Why? Well the best ever KoKo in Martyn Green, and the best ever Mikado in Darryll Fancourt. Add to that the pretty well faultless YumYum of Margaret Mitchell and the even handsome-on-record Leonard Osborn. The conducting by Isidore Godfrey is definitive. But this transfer by Naxos is appalling. They make it sound like it was recorded in the 20's. I played the CD's side by side with the vinyl and it's hard to believe they are the same recording. There is a much better tranfser available from Sounds on CD in the UK. Why doesn't Amazon have that one on offer also? 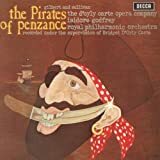 Although admirably serving the noble purpose of preserving for posterity the vocal performances of some incredibly famous G&S 'specialists'(eg, Darrell Fancourt), this CD [set] is not for the average G&S fan, among whose ranks I count myself. Unfortunately, the preservation of old recordings is a tough thing, and this version suffers from terrible fidelity overall and in many songs, completely unintelligible lyrics. Many fans know all the lyrics by heart, but hearing them distorted and fuzzy grossly distracts from the experience and certainly won't win over any new fans. I thought I was taking the reasonable and less expensive route with this version, but will have to buy the more recent recording to enjoy Mikado. Do yourself a favor, save up a little longer, and buy the more expensive (recent) recording.